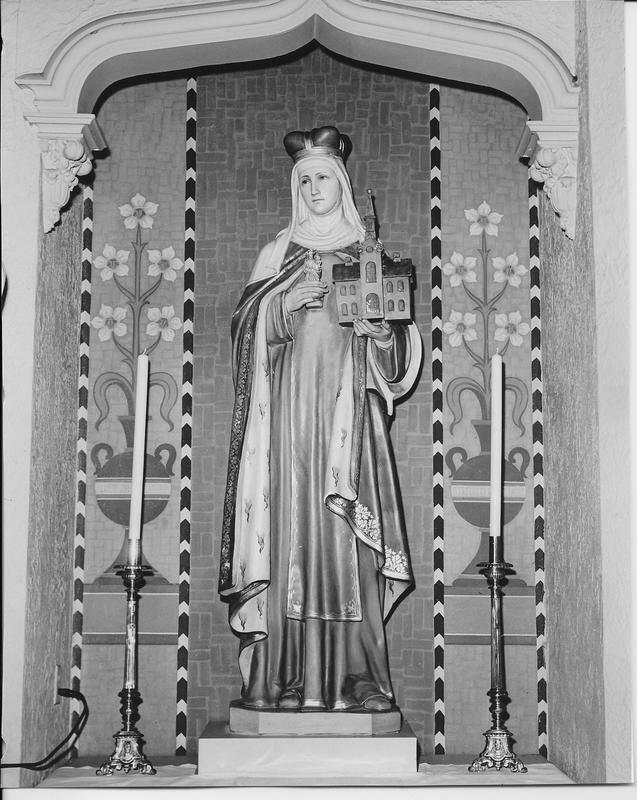 St. Hedwig's Statue as it looked for the Golden Jubilee in 1961. Our Relics of St. Hedwig are a gift to St. Hedwig Parish from His Excellency Henry Cardinal Gulbinowicz the Archbishop of Wroclaw, in who’s Archdiocese the Saintly remains of St. Hedwig rest. 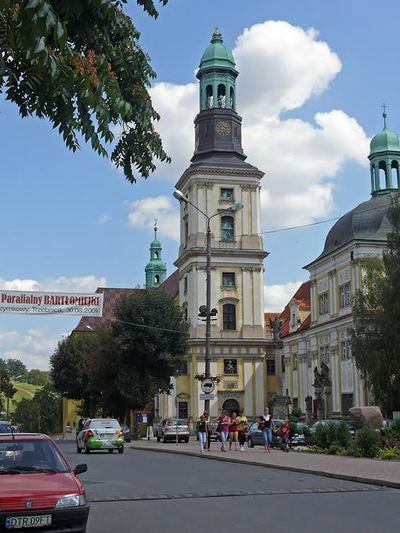 In a beautiful baroque Church, in the city of Trzebnica, her mortal remains, encased in marble, are raised above the altar for the veneration of pilgrims who come to this holy Shrine from all over Europe. Born into nobility, Hedwig, the Bavarian princess at twelve years of age, married a Polish nobleman, Henry, Duke of Silesia and made Poland her home and fatherland. Hedwig came from a family of seven. Her parents shaped the children in their lives and each one had a remarkable career. Hedwig prayed in the Cistersian Monastery which she and her husband founded and which is attached to the church. She worked among the poor of Trzebnica, the abandoned, the rejects of society, bringing them food and medicine especially during the cold winter months. She fed and washed them, helped them to live and die. She sold all her worldly goods, possessions and jewels; walked barefoot in the snow to bring consolation to the poorest of the poor. Hedwig taught catechism to children and converts. She built schools, churches and monasteries. 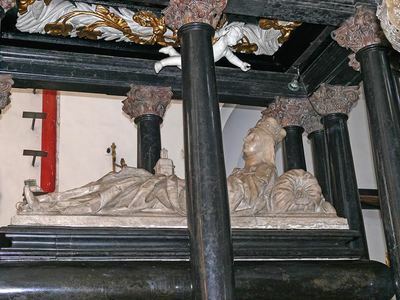 After the birth of her sixth child, Henry and Hedwig went to the Bishop of Wroclaw and before him, made a voluntary vow of chastity for the remainder of their lives – in order to better serve the poor. Both husband and wife devoted themselves now to works of charity. They continued to live in a castle near the monastery, Hedwig wearing the simple grey and black garb of the Cistersians, and Henry, too leading a holy life of poverty and self-abnegation. No one was turned away. The sick, the poor, derelicts, - all found consolation there. She bathed them, washed and dressed their wounds, and kissed the wounds and bandages. She loved and gave these derelicts such care that she earned not the admiration of others, but their scorn. Her husband now became the Regent of Poland and after his death, his son Henry the Pious became ruler of Silesia and greater Poland. Hedwig was indeed a Queen Mother, and that is why she is called Queen of Poland. 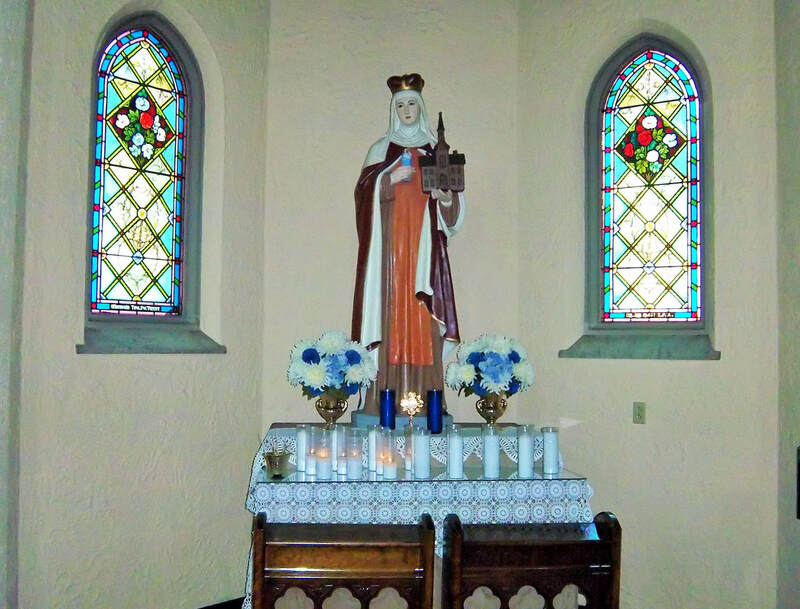 Statue and relic of St. Hedwig.